Imagine a place where you can trade your high heels for cowboy boots, walk amongst Texas longhorns, go line-dancing and take in an opera performance in the same day. No, we’re not talking about heaven; we’re talking about Fort Worth, Texas. 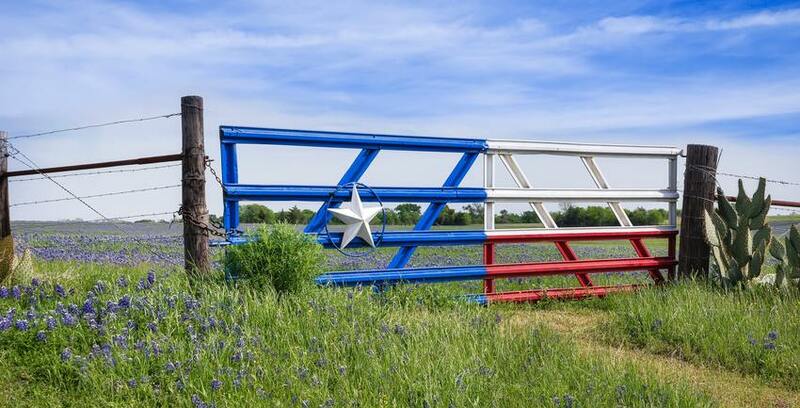 Located in North Central Texas, the city of approximately 850,000 boasts country music, real-life cowboys and some of the best barbecue in the world (though if you end up eating Whataburger every day, we won’t blame you). If you’re thinking of two-stepping on down to Fort Worth, here are 10 things you should know before moving. If you’ve ever had Rocky Mountain oysters in Colorado, you know that they aren’t really oysters, and if you’ve ever had calf fries in Fort Worth, you know that they definitely aren’t potatoes. The Fort Worth culinary speciality is essentially this: calf testitlces, battered, deep fried and served with dipping sauce. Supposedly, calf fries date back to the 1920’s when Theo’s Saddle & Sirloin Inn served the dish to a ranch hand with...unique...taste. These days, you can get your fix of calf fries at Riscky's, served with homemade gravy just like mom used to make. Fort Worth isn’t just longhorn cattle and guys with spurs. The city also has an impressive cultural side. Take for example, Bass Performance Hall. The stunning Fort Worth venue is carved from limestone and adorned with two 48-foot angels. The space is home to the Fort Worth Symphony Orchestra, broadway shows, Shakespearean plays, ballet and concerts. In other words, if you want to take your date somewhere other than the rodeo, Bass Performance Hall is the answer. Speaking of culture, you can truly immerse yourself in it come April in Fort Worth. The spring season brings with it the Main St. Fort Worth Arts Festival. The free festival features live music, local food and plenty of fun. You can sip wine while painting, dance to bluegrass in the street or attend a special art fair featuring work from children in the Fort Worth community. Is there anything more authentically Texas than longhorn cattle? In Fort Worth, you can see them twice a day. The city is home to the world’s only twice a day cattle drive, which you can witness at 11:30 a.m. or 4 p.m. Simply find a good spot on the lawn in front of the Livestock Exchange (or post up with a beer in hand at one of these restaurants) and watch the magic happen. After the cattle drive, you can continue the cowboy-themed festivities with a trip to Stockyards Station, where every Saturday and Sunday you can catch a dramatic reenactment of an Old Western style gunfight. The shows have been going on since 1981, and they’ll give you a real taste of what it was like to be on the frontier in the 1830’s. Move over, Austin. The Near Southside neighborhood in Fort Worth has all of the hipster charm of the capital city without the crowds and the price tag. Nestled amongst the tree-lined streets near Downtown Fort Worth, this up-and-coming community offers exciting new restaurants, charming boutiques and a vibrant, creative spirit. It’s the kind of place where you can read a book at a locally owned coffee shop or drink whiskey from a mason jar while listening to live music on a warm summer night. And best of all, it’s still under-the-radar, so it’s possible to find an apartment you can actually afford. Lockheed Martin is the largest employer in Tarrant County, so don’t be surprised if you hear that name fairly often. The global security and aerospace company employs 14,000 people in the Fort Worth area and has been on the scene for over 75 years, so if you happen to have some ideas about designing the next great fighter jet, send an application their way. Billy Bob's Texas holds quite a few records. They’re the world’s largest honky tonk, the site of the Guiness Book World Record for the largest round of drinks ever purchased (5,095 glasses of Canadian Club, bought by Merle Haggard for a grand total of $12,737.50). You won’t find a mechanical bull at Billy Bob’s, but you will find real bulls and real bull riders. You’ll also find country music, barbecue and free line-dancing lessons. The Fort Worth Zoo may have started with just a coyote, a peacock, a lion and a few other animals, but it’s grown quite a bit since opening day in 1909. Nowadays the zoo houses 112 species including 68 endangered ones. You’ll find gorillas, rhinos, elephants and every other furry, scaly or venomous creature you can imagine. Listen, just because the airport is called Dallas-Fort Worth doesn’t mean Dallas and Fort Worth are the same place. They’re not. At all. Fort Worth is often conflated with—or ignored in favor of—Dallas because Dallas is larger and more urban. And while the big city feel of Dallas can be fun for a night on the town, Fort Worth locals know how quickly the mind-numbing traffic and overpriced nightclubs wear out their welcome. At the end of the day, the western feel, lower cost of living and laid back vibes make Fort Worth the true standout in the Dallas-Fort Worth area. Move there and you’ll see for yourself. HIT THE TRAILS THIS SPRING IN DFW!